Irreverent, sacrilegious, disrespectful, blasphemous, profane. Everyone step away from Joy Behar, lest lightning strike. Joy Behar spoke most irreverently about the very Godly Vice-President Mike Pence. She made fun of the idea that Mike Pence hears the Almighty speaking to him. Either Joy does not believe the Holy Bible, or she doesn’t know what it says. “Spoke in a dream”, “warned him in a dream”, “hear His voice”, “voice of the LORD”, “Word of the Lord came unto him”, are just some of the phrases in the Holy Bible about the Almighty speaking to people. She suggested that Mike Pence might be mentally ill, because he believes he hears the Almighty speaking to him. 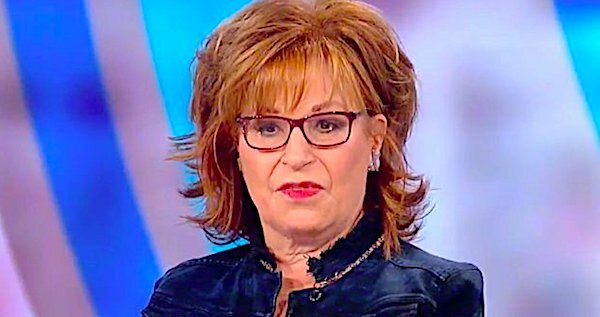 Not only is Joy Behar’s conversation on this very foolish, but she better be careful, that she does not invite a curse upon herself with her blasphemy. She should be very ashamed of her shameful behavior, but I doubt that she is. Repent Joy, and you will be forgiven, for the Almighty would rather forgive than grant eternal damnation. 2 Samuel 23:3, “The God of Israel said, the Rock of Israel spoke to me: He that rules over men must be just, ruling in the fear of God”. Any good ruler should know Almighty God well enough, that he allows the Almighty to speak to him and help him to rule well. As far as I am concerned, THE VIEW is a very poorly done tv program, that is a complete waste of time to watch and is devoid of any meaningful value most of the time?